Musings about Faith: Reflections on Ascension - Acts 1:1-11 - "Left Behind"
Reflections on Ascension - Acts 1:1-11 - "Left Behind"
Several weeks ago a "Rev." Harold Camping announced and a number of believers were truly expecting the end of the world. May 21 – absolutely – it can’t be wrong. All the calculations pointed to this date. So, huddled and expectant they waited. In a way they were gazing into the heavens watching and hoping and expecting. And it was evening and it was morning – no rapture! This is not too surprising actually. There have been any number of predictions going back to the 19th century and they have all been wrong. And, I can myself predict with certainty that future predictions will also be wrong. Why? Well, for starters Jesus specifically commands folks NOT to even try predicting. But there are other reasons as well and these reasons all come together around the Feast of Ascension. First, one assumption of these predictions is that the world is so evil that God will destroy the world. This is the first mistake. In fact, this is completely non-biblical (as is the entire Rapture theology for that matter). When God created the heavens and the earth, at the end of each day we read that God looked on what God had made and saw that it was good. Actually the Hebrew is the word “TOV.” God pronounced the work of creating the earth and everything that is as being TOV – fantastic – amazing – awesome.! The word “TOV” implies excitement; it implies that God was so excited by God’s work of creation that God could hardly keep from dancing! And throughout the Old Testament – despite the problems – God constantly reaffirms God’s love and commitment to this amazing creation. In fact God is so filled with love and commitment for the creation that God is born in Jesus. Second, the Acts text is one of my favorite New Testament stories. 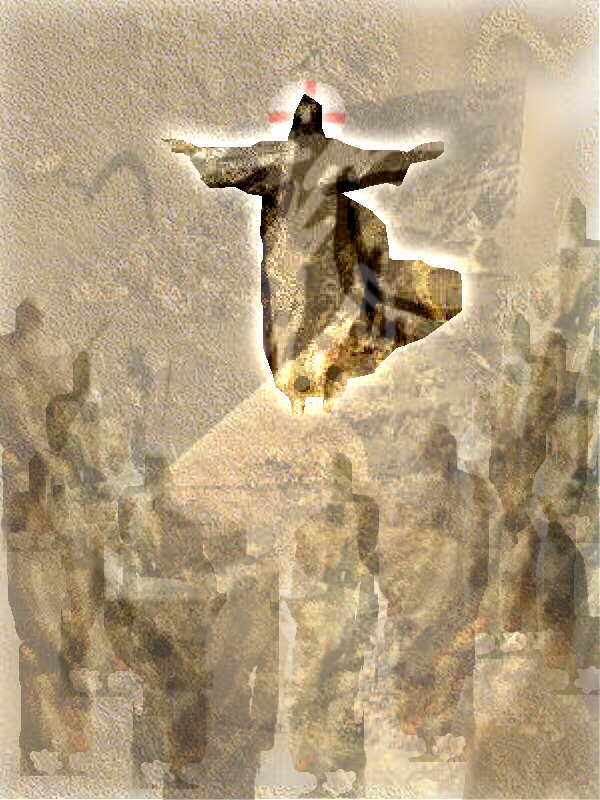 Jesus leads the disciples out to Bethany, says goodbye and ascends to heaven. The disciples stand there watching, gazing into the heavens. Finally an angel (messenger) tells the disciples to stop gazing into the sky, to lower their gaze, look around and get to work. How often are we tempted to gaze into the sky looking for God? How often do we miss God at work in the midst of the world all around us because we are looking in the wrong place – into the sky. Like the disciples we need to lower our gaze, look around at God’s creation and get to work. Finally, what is this work that we are called to? It is everything that we are engaged in – what we do day in and day out. Any work that contributes to the community, builds up others, provides sustenance – that is the work of everyday life: our vocations, family life, play, civic involvement, volunteer work – all of it honors the Father who created this world TOV. This is why we have been "left behind" – and this is a good thing (it is TOV) – Jesus leaves his disciples behind for the good of the world which God loves so that they might do works of love and grace and be open vessels of God’s love in the midst of this wonderful creation.